The next installment of a series of brutal action games. Again, we play the hateful spartite of Kratos, who this time has to face his own past. 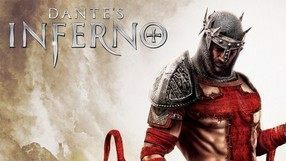 The game remains true to the tradition of home consoles and offers clashes with powerful bosses, an advanced combat system, an epic story referring to Greek mythology and a great visual setting. Another spin-off to the legendary series of sandbox action games, developed by Rockstar Games for the PlayStation Portable console. As the title of the game suggests, its action is related to GTA: Vice City. The title takes place in 1984, two years before the events shown in the other game. The main protagonist is Victor Vance – an ex-soldier who currently works for various gangsters. By completing various jobs given to him by mafia bosses he slowly rises through the ranks of the criminal underworld. The gameplay isn’t very different from other installments of the series. However the developers added many new features such as the ability to swim, fly a helicopter or enter buildings. This made the game mechanics even more similar to the mechanics of full-fledged installments in the series. Grand Theft Auto: Vice City Stories offers a large number of weapons and gadgets as well as a varied soundtrack that accompanies the player while driving cars. 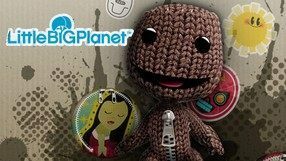 LittleBigPlanet is a dynamic platformer, designed for PlayStation 3 owners. This item is the first on this console to allow almost unlimited interference in the course of the game. You find yourself on a small planet, the boundaries of which are constantly widening while you play. 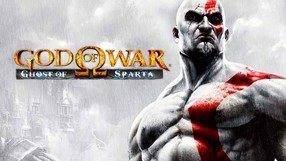 The next installment of the legendary God of War slasher series, which was prepared for PlayStation Portable. The authors use the power of the device to provide spectacular action and graphics that were impossible to achieve on competing mobile devices at the time. Need for Speed: The Wanted Bridge is another part of a series that has been developed since the mid-1990s. After the night escapades from both sides of the Need for Speed: Underground, the time has come for a sporty car to move in completely different conditions. The second entry in the series of third-person perspective action games about Spider-Man. 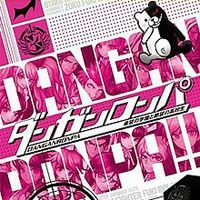 The plot of the game is based on the movie under the same title. The player assumes the role of Peter Parker, a boy who gained spider superpowers during an accident in a laboratory. His main antagonist is Otto Octavius (in the criminal underworld known as Doctor Octopus), a scientist equipped with mechanical arms controlled by his brainwaves. Depending on the platform, the game has completely different mechanics and was developed by different studios. The main console version offers a fully three-dimensional open world with advanced physics and takes place in a faithfully recreated virtual version of Manhattan. Other versions have simplified mechanics that use features of side-scrolling action games and platform games. A new incarnation of the popular racing game series launched back in 1987 by Distinctive Software and Accolade. Test Drive Unlimited was developed by Eden Games, the creators of the V-Rally franchise, under the aegis of Atari. The main change in relation to its predecessors is the vast open world set on the faithfully recreated Oahu island, which can be freely explored. The players can undertake a number of various racing challenges to earn cash that lets them buy new vehicles for their garage. In total, there are over 90 licensed cars and motorcycles to choose from. In the game, we can modify our avatar by dressing him in designer clothes and even buy a new house with a bigger garage. The title features an innovatory multiplayer mode that, similarly to MMO productions, enables thousands of players to compete at the same time. A visual novel adventure game developed by studio 5pg. The game is an improved version of the independent game created by Makoto Kedouin and originally released in 1996. Corpse Party takes place in a high school building that was built on the ruins of an old grade school in which a terrible and mysterious crime has occurred. One day, due to unexplainable events, a group of students enters a terrible and grotesque version of their school in which the corridors are filled with decomposing corpses. Trapped in the building, the main characters must face the mysteries of the building and the revenge-seeking ghosts of the dead children. The game uses typical gameplay mechanics of visual novel games, although it also contains exploration and even action sequences. The story has several different endings that depend on the choices made by the player. The third full-fledged installment belonging to the incredibly popular racing-themed franchise developed by Codemasters. The DiRT subseries has cultivated traditions initiated in the late 1990s by the Colin McRae Rally series. 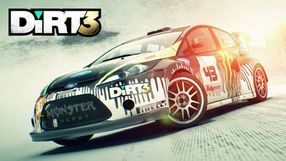 After the previous game, which emphasized off-road competition, DiRT 3 constitutes a return to the original concept behind the main Colin McRae series, bringing back rally competition in its most classic form (the game uses the official WRC licenses). However, this third iteration still introduces a massive number of novelties, such as stunt arenas from the X-Games competitions, or a completely new type of contest, that is the so-called Gymkhana - it was popularized by one of the most famous drivers in the world, Ken Block. Gymkhana is all about being fast and showing off at the same time - a designated route has to be completed as quickly as possible, but the player is rewarded with points for performing various stunts along the way. As usual, a wide set of licensed cars is at the player's disposal here, many of them originating in different time periods. Also, DiRT 3 features buggies and pickups - those are typically used in off-road competitions. A two-dimensional platform game with traits of an adventure game and a stealth game. The title, developed by Oddworld Inhabitants, takes place in an unknown planet inhabited by the race of Mudokons. The main protagonist of the game, Abe, is a Mudokon as well. The race is being abused by evil Glukkons, who force them to slave labor in a mine. When the protagonist discovers the new plans of the “master race” (they want to process Mudokons into tasty food), he decides to escape and save his friends from the danger. 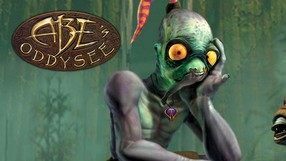 In Oddworld: Abe’s Oddysee the player is jumping between platforms, sneaking up behind the backs of their opponents and solving various environmental riddles. During the game the protagonist can also give orders to other Mudokons. Since the protagonist has no health bar or energy, a single enemy hit is enough to kill him – in that case Abe respawns at the beginning of the level. The title lacks any interface – all information is presented in the level or on special tutorial screens. In the platformer "Daxter" we play the role of one of the characters creating an inseparable pair of heroes known from the series of games Jak and Daxter, we try to solve an extremely mysterious mystery. The game was prepared by Ready at Dawn Studios. The publisher is Sony Computer Entertainment. A hand-held spin-off to the popular series of stealth games developed by Konami. The game was developed for PlayStation Portable and builds upon 2004's Metal Gear Solid 3: Snake Eater. The story of the game shows further life of Big Boss. Together with an army of mercenaries under his command, he travels to Puerto Rico to investigate why the US government, together with CIA, is backing up a military group present on the island. The gameplay mechanics don’t vary very much from the main installments. However, this time the developers focused on a cooperation mode supporting between 2 and 4 players. The players can complete missions together and help each other during difficult battles. A completely new feature introduced in Metal Gear Solid: Peace Walker is the option to manage Big Boss’ military base. During the game, player can recruit new soldiers, assign them to various sections and send on missions across the world. Another major installment in the famous action adventure game series. 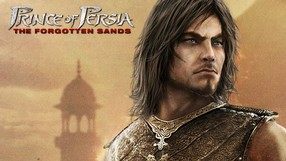 In terms of story, Prince of Persia: The Forgotten Sands is set between The Sands of Time and Warrior Within, and focuses on the events that caused the drastic, dark change within the Prince. Upon reaching his brother’s realm, the Prince finds the capital city about to fall, besieged by an enemy army. In an attempt to protect the citizens from a massacre, the city’s ruler resorts to using a powerful, yet dangerous magic that eventually turns against him. The game itself is based on the core mechanics of the series. Therefore, we can expect multiple platforming sequences, environmental puzzles, and battles against powerful enemies. An interesting addition is the ability to control the forces of natures, which comes in handy both in combat and when traversing subsequent locations. Of course the series’ landmark feature — the ability to reverse and slow down time — is back. Prince of Persia: The Forgotten Sands is powered by the Anvil engine, the technology previously used in the two first Assassin’s Creed games. 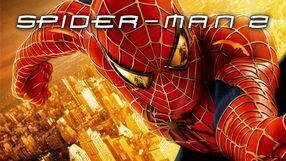 An action adventure game based on the third Spider-Man movie directed by Sam Raimi. The action is set in the city of New York, recreated with great attention to details. We assume the role of the eponymous superhero, who has to undertake a myriad of various quests. However, the story does not impose any specific path on us, letting us decide the mission order on our own. Spider-Man 3: The Game focuses primarily on combat, where we can perform spectacular strikes with arms and legs as well as use the spider web. Hordes of minor enemies as well as ten famous villains known from the Marvel comic books will stand in our way. An interesting novelty is the fact that in the game we control not only the classic Spider-Man, but also his dark incarnation that came to life as a result of merging with a mysterious space symbiont. A futuristic RPG game in which we move to a world haunted by a foreign race. The main protagonist of the production is an Android girl, who uses giant guns and swords, travels the destroyed world and fights enemies. 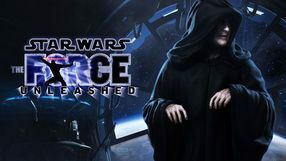 The creators of the game focused on turn-based combat system, spectacular attacks by specialties and a lot of mini-games. 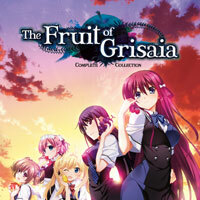 The Fruit of Grisaia is a PC-based visual novel adventure. We play the role of a teenage killer, who starts school full of pupils with dark secrets. 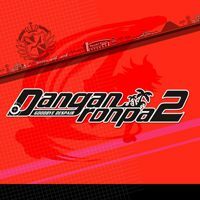 While playing, we mainly follow the story and make decisions that direct the story to one of several alternative storyline paths. An official remake of the classic first installment in the acclaimed Tomb Raider series. 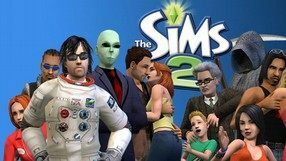 It was created for the original game's tenth anniversary, having been released in 1996 both for PCs and the PlayStation consoles. 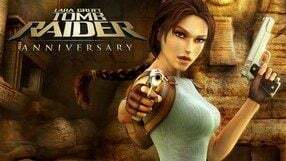 Tomb Raider: Anniversary was developed by Crystal Dynamics (Tomb Raider: Legend) - a studio which took over the development of the franchise from its original creators - Core Design. The remake does not bring any differences to the original game's plot. The player assumes the role of Lara Croft - an archeologist hired by a powerful organization wishing to retrieve a mythical artifact. Although the remake includes the same weapons, enemies and locations, certain in-game environments were improved and slightly extended, for the remake utilizes a more powerful engine. The main difference between the remake and the original game lies in the visuals, remade from scratch, and modernized controls borrowed from the franchise's latest installments. The latter gives more opportunities to the protagonist and makes movement more flexible.